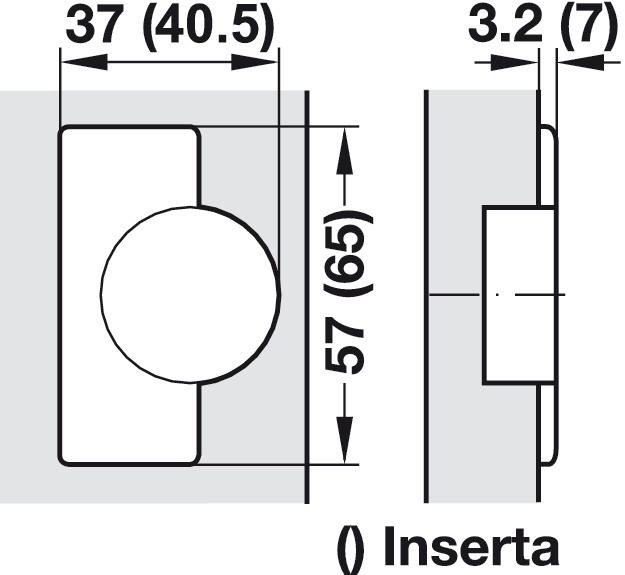 The specified mounting plates and wedges must be used with the following corner applications. 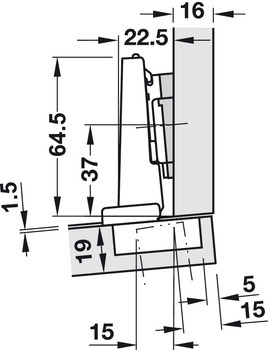 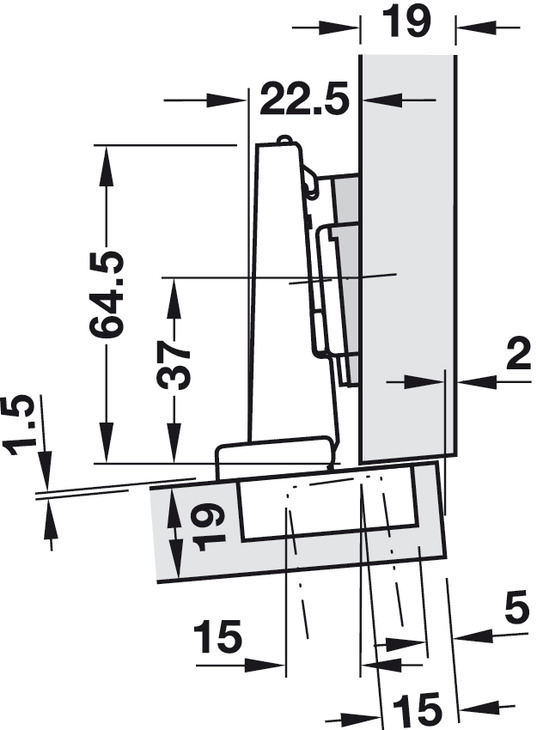 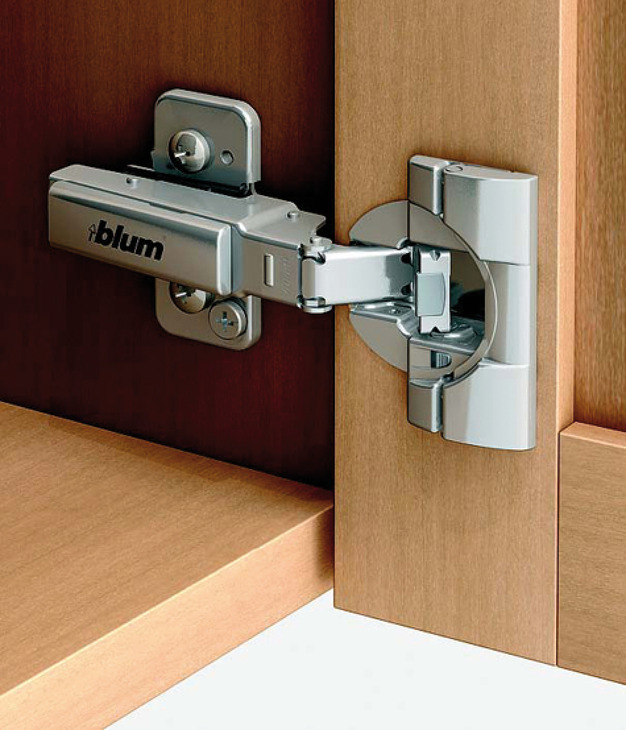 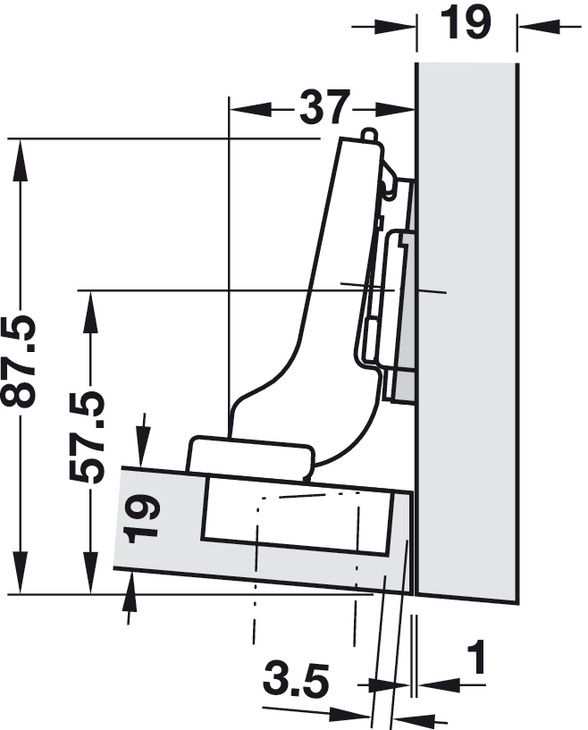 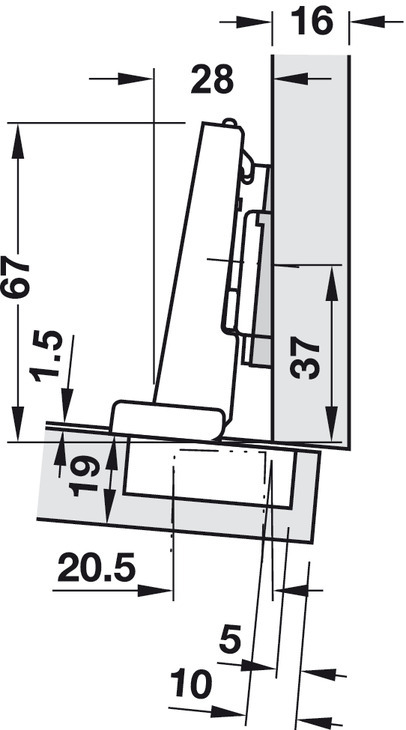 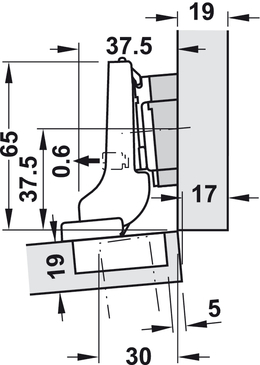 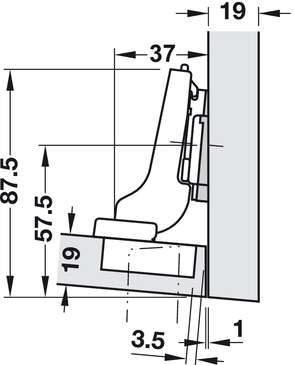 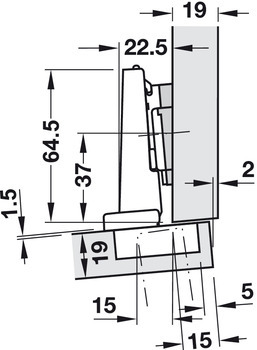 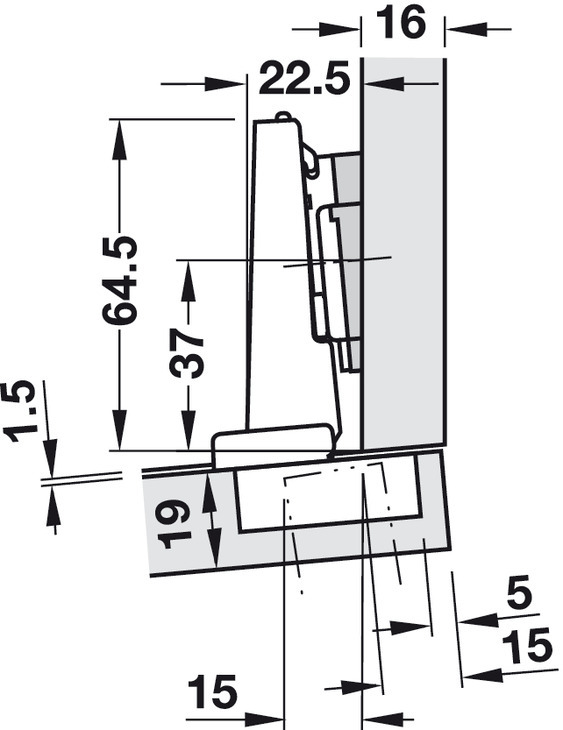 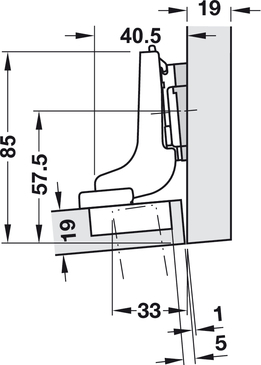 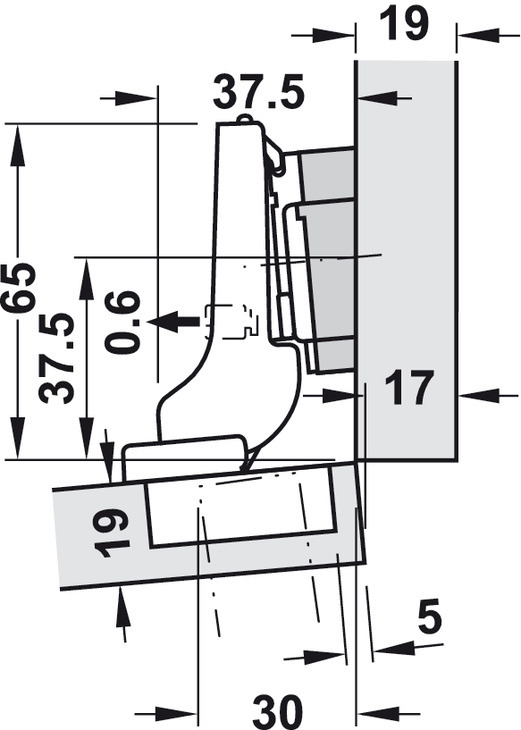 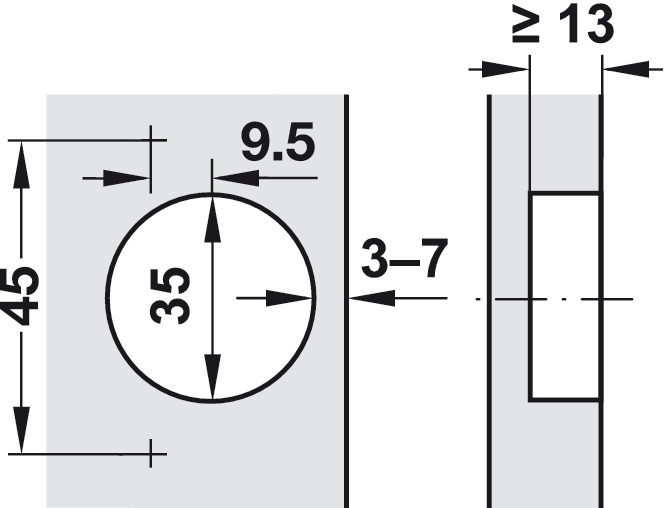 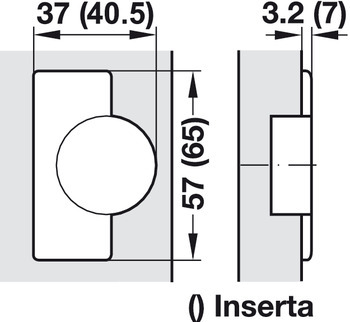 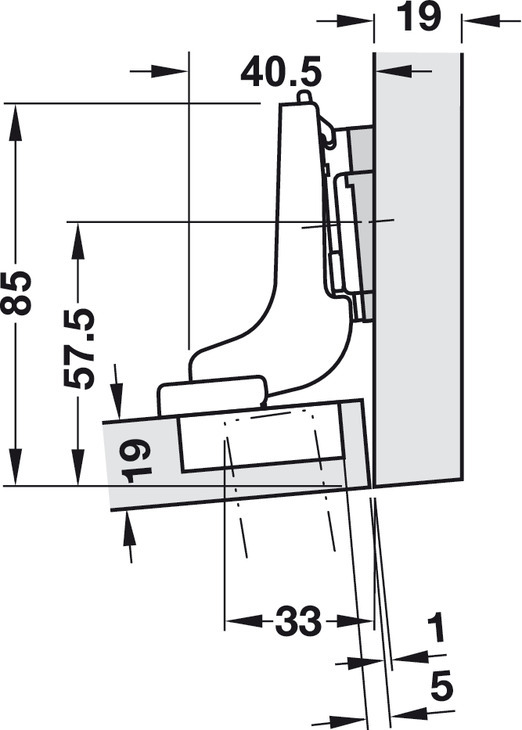 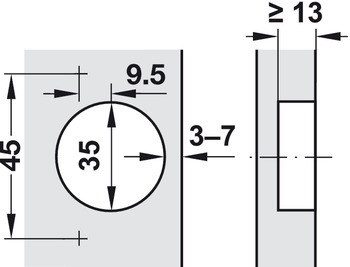 The specified dimensions apply to factory settings for 19 mm door thickness and 16/19 mm side panel thickness. Different dimensions change the mounting situation. 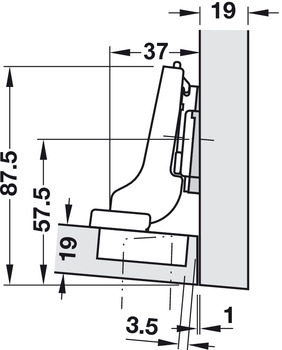 Trial mounting is recommended.